FOR NEARLY years the Cal State Long Beach community has seen repeated attacks on me. Powerful activist organizations — the Southern Poverty Law Center and the Anti-Defamation League — have come to campus to condemn me. Several departments at the university have issued public denunciations, and I have been harassed and condemned by individual professors on faculty e-mail lists. Beginning with the current semester, several students have disrupted my classes; they have campaigned to get me fired and have written inflammatory articles in the Daily 49er. Why all this hostility? Fundamentally, I am attacked because I advocate ideas that fly in the face of the conventional wisdom as seen by the academic left that has come to dominate the university. First and foremost, I am an evolutionary psychologist. On the basis of my understanding of the theory and research in this field, my view is that everyone has ethnic interests — including people of European descent. A great many other identifiable groups in multicultural America have a strong sense of ethnic identity and interest. Quite a few departments on this campus are devoted to strengthening the ethnic identity of non-whites and articulating their interests. But explicit expressions of white European-American identity and interests are condemned as indicating moral turpitude or even psychiatric impairment. This is a completely unnatural state of affairs — the result of a prolonged assault on the legitimacy of these concepts by politically and ethnically motivated elites that have dominated public discourse on issues of race and ethnicity since before World War II and especially since the 1960s. I reject labels such as “white supremacist” or “racist” that are routinely bestowed on assertions of white identity and interests as a means of muzzling their expression. Non-Western peoples throughout the world continue to seek political power, and they attempt to control their borders, establish their own cultures and defend their perceived interests. No one would claim that Korea, say, has a moral obligation to import millions of non-Koreans or to change their culture so that the traditional people and culture are pushed aside. Many countries, including Mexico, have excluded immigrants and dealt with them harshly. Israel not only has an identity as a Jewish state, it also rigorously enforces a biological conception of Jewishness as the basis of its immigration policy. Israel has erected an apartheid society on the West Bank and has discriminatory policies against its Palestinian minority within Israel. Nevertheless, as Joel Kotkin points out in his recent book “The Next Hundred Million”, the U.S. stands poised to add 100 million non-whites by 2050, making the current white majority into a minority and implying a dramatic decline in their political and cultural influence. Whether explicitly or implicitly, ethnostates are the norm throughout the world. Societies in Europe, North America, Australia and New Zealand that have been controlled by whites for hundreds of years are the only ones to accept the idea that the ethnic majority has a moral imperative to cede power and become a minority. I view this outcome as the result of competition over the construction of culture in which the legitimate interests of Whites have been compromised. My scholarly book, “The Culture of Critique: An Evolutionary Analysis of Jewish Involvement in Twentieth-Century Intellectual and Political Movements” (1998), and much of my subsequent writing, are an attempt to determine how this unnatural state of affairs came about. The big picture is that the left championed the interests of the working and middle classes of pre-1965 America. Since that time, the left has been strongly identified with massive non-white immigration and multiculturalism — policies that have compromised the interests of the working and middle classes of traditional America, black and white alike. My main concern is that this upheaval opposes the legitimate interests of the European-descended peoples of the U.S. It’s not about hatred. It’s about seeing legitimate conflicts of interest among different ethnic groups. I was a staunch leftist as a young person. But it’s obvious that the left now stands for policies that are radically opposed to the interests of people like me. As part of this revolution against pre-1965 America, the left has erected a culture of political correctness in which expressions of ethnocentrism by Europeans are proscribed. Organizations such as the SPLC and the ADL seek to stifle free speech by condemning any hint of ethnocentrism by Europeans — and only Europeans. Because their point of view is intellectually bankrupt and cannot be rationally defended, the left has repeatedly resorted to force to accomplish its goals. Many European countries and Canada have savage legal penalties that enforce intellectual conformity on these issues. In America the sanctions are more informal — but nevertheless similarly effective. The condemnations of my writing and my affiliations by academic departments, professors and students at Cal State Long Beach are a part of this campaign to shut down free speech on these issues and to make my life as difficult as possible. America and other Western societies stand to lose much as a result of these transformations. Harvard sociologist Robert Putnam has shown that increasing ethnic diversity lowers the willingness to contribute to charity or to public goods such as, apropos the current national debate, public health care. Ethnic diversity also increases social isolation and lowers trust both within and between races; it also lowers political participation and lessens confidence in political leaders. Throughout the world, ethnically diverse societies are marked by ethnic conflict. The bottom line is that no one has come up with a formula to get rid of ethnicity as a form of identity and as a vehicle of expressing interests. None seems on the horizon. My vision of the future of Western societies is that they are well on the road to becoming cauldrons of competing ethnic groups, with chronic divisions over issues like affirmative action, redistribution of wealth and the establishment of public goods like health care — any issue that may be seen as benefiting one ethnic group more than another. In the long run, democratic forms of government and the rule of law are threatened. An early sign of this dystopian future is that American politics have become increasingly racialized. The Republican Party routinely receives roughly 90 percent of its votes from whites, while overwhelming majorities of non-whites identify with the Democratic Party. There is a palpable rage building in America among the tea partiers and working and middle-class white Americans who want something like the America they grew up in. These people are being pushed out economically and politically. They are less able to avoid the costs of multiculturalism: They can’t move to gated communities or send their children to all-white private schools. Their unions have been destroyed and their jobs either shipped overseas or performed by recent immigrants, legal and illegal. Despite what some of my critics have claimed, I have never advocated violence as a solution to the rapidly diminishing prospects of non-elite white Americans. But we are clearly headed into very dangerous times. 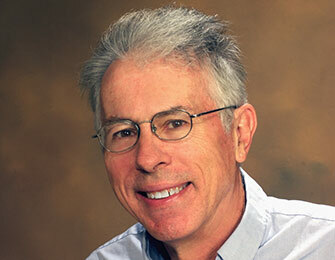 Kevin MacDonald is a psychology professor at CSULB and a member of the American Third Position party.